Kit will ship in Mid - October. 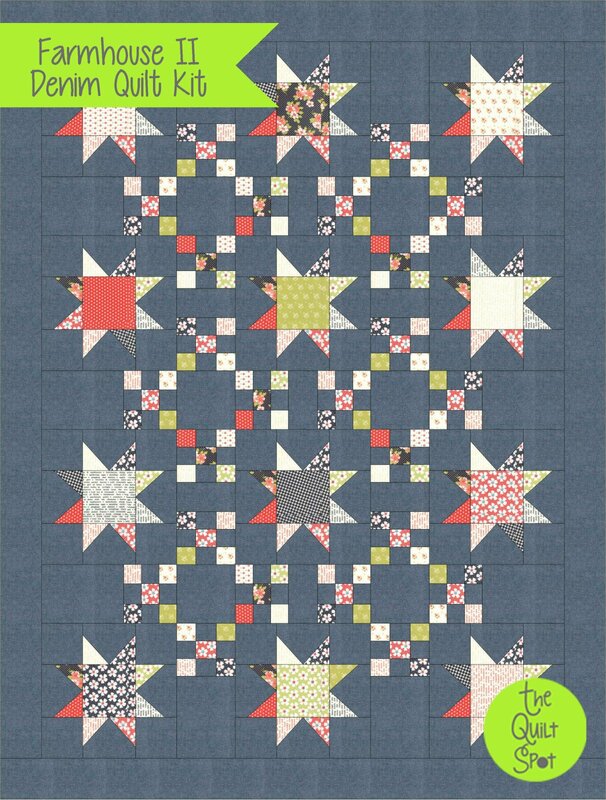 Finished Size 48 x 63 1/2"
This quick and easy quilt kit - is the perfect marriage of casual and modern country. The rustic chambray denim background makes the fresh Fig Tree Farmhouse 2 prints stand out. Kit includes pattern, fabric for the quilt top and the binding.